Hello and welcome to the VermilliRUN Volunteer Sign Up! 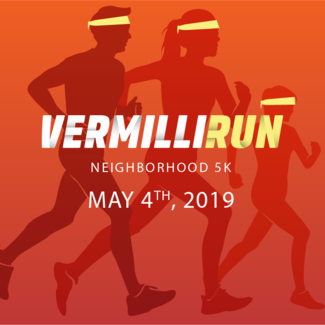 VermilliRUN is a 5K run/walk and Kids Fun Run that takes race participants through the beautiful streets of the Vermillion Community in Huntersville, North Carolina. The run is in honor of Brian Bowman who passed away from cancer in 2014. Brian was a proud member of the Vermillion Community who was always eager to lend a helping hand to his neighbors and friends. Each year a new local charity is selected to be the beneficiary of all race proceeds. For our 2019 race, proceeds will benefit Hinds' Feet Farm, a Huntersville based 501c3 dedicated to serving persons living with brain injury through unique programs, education, outreach and advocacy. We run to raise awareness of local charities. We run to support and honor our friends, families and our community. We run for those who no longer can. Would you like to help make a difference? Do you have an obligation for school or work to volunteer in your community? We are currently seeking volunteers for the 2019 VermilliRUN 5K & Kids Fun Run event! Please take a look at the volunteer opportunities listed below and sign up today to help make this event a success! Visit us at www.VermilliRUN.com or find us @VermilliRUN on Facebook, Twitter and Instagram and help us spread the word about this charitable community event! Assist local Police personnel with directing traffic coming into the Vermillion community to the event location and to designated parking areas. MUST HAVE vehicle or golf cart in order to drive the Race Course! Assist with set-up of traffic cones and signage to direct Race Participants along the Race Course. MUST HAVE vehicle or golf cart in order to drive the Race Course! Assist with break-down of traffic cones and race signage to direct Race Participants along the Race Course. Stand at designated points on the Race Course and direct Race Participants to ensure they stay on course. Volunteers will also assist with break-down of Water Station and First Aid Station on the Race Course. Assist with setting up both of 2 First Aid Stations, assist Emergency Medical Service personnel at the volunteers designated station and assist with break-down of the First Aid Station located on the Race Course. Assist with setting up both of 2 Water Stations. Volunteers will monitor their designated station by keeping it clean & stocked, helping race participants stay on course and assist with break-down of the Water Station on the Race Course. Assisting event attendees with their on-site registration to participate in the 5K race. Checking in Race Participants and providing them with their race timing bib, race t-shirt and their race packet "swag bag". Stand at the Start/Finish Line area and cheer on the race participants as they start the race and as they cross the finish line! Loan or donate your portable folding tables by bringing them to race-day setup at 7:30am. Tables must be clearly marked with your full name & phone number. Pick up your tables at race-day breakdown (2pm). Loan or donate your portable folding chairs by bringing them to race-day setup at 7:30am. Chairs must be clearly marked with your full name & phone number. Pick up your chairs at race-day breakdown (2pm).